Guillemot Corporation is a designer and manufacturer of interactive entertainment hardware and accessories, offering a wide range of diversified products under the Hercules brand name for audio devices. possibilities. We constantly draw on our roots in analog audio, in order to offer cutting-edge devices, celebrated for their precision and sound quality. From our very first sound card to our latest high-tech mixing controllers, Hercules has built up a level of expertise and know-how widely acknowledged within the audio industry. With the digital audio era still in its early stages (considering analog audio's more than a century and a half of history), we find ourselves facing a new path whose direction is ours to chart. 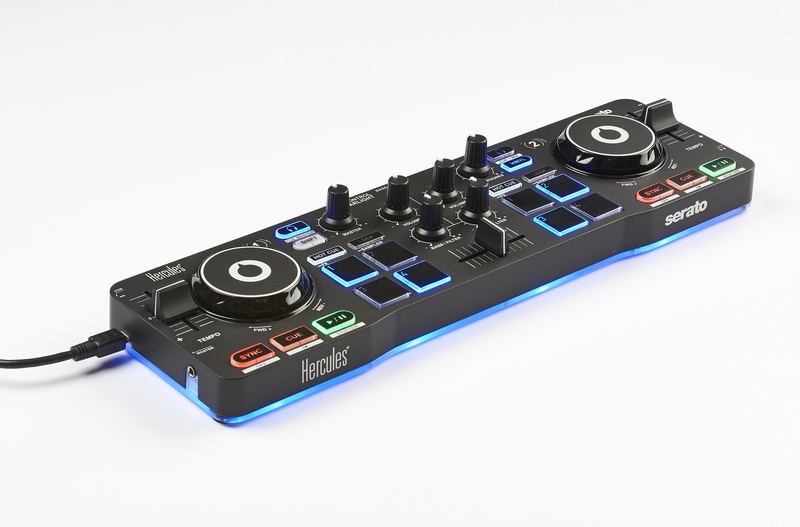 Hercules, a leading manufacturer of DJ controllers and audio solutions, has teamed up with Serato to launch a new compact DJ controller with a unique backlighting feature to get started DJing: the DJControl Starlight. This ultra-compact, ultra-light and ultra-practical device packs all the features needed to mix and scratch with Serato DJ Lite. 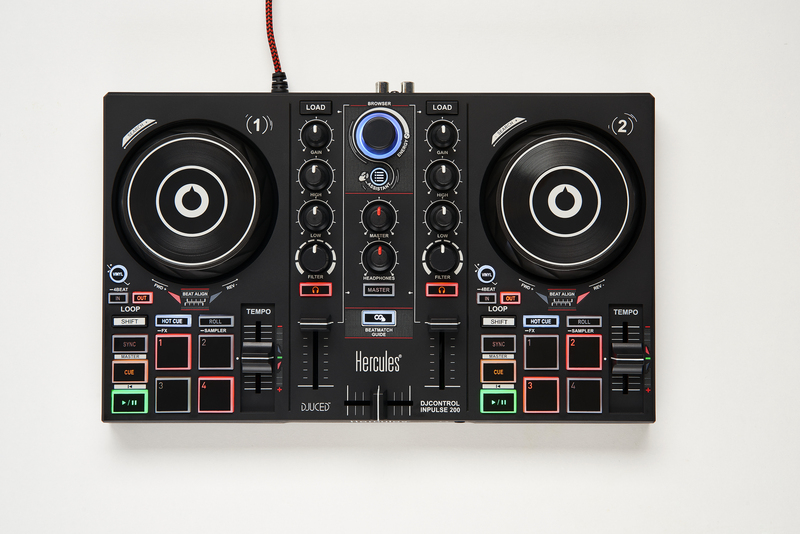 With its built-in audio interface, the DJControl Starlight offers a pre-listening mode in the headphones so you can then play your mix on speakers, which is perfect for learning or creating new mixes. The system is so comprehensive for its size that it boasts all the essential features such as bass equalization/filter knobs for smooth transitions or touch-sensitive jogwheels for easy scratching. And all of that is boosted by the Hercules touch: a clear and powerful RGB backlighting with a unique strobe effect! Hercules has leveraged its creativity to develop a new and entertaining light system that makes it easier to learn how to mix. You can control the lights either from the controller or right in Serato DJ Lite, thanks to seven new modes that let you keep an eye on the rhythm and find your way through your mix. - Beat 1 Program: the LEDs light up red with the first beat of the main track and blue with the following beats, turning off between each beat. - Beat 2 Program: the LEDs light up in red with the first beat of the main song and blue with the following beats, without turning off. - Master Volume Program: the LEDs light up in white (strobe effect) and their intensity varies with the volume. - Waveform Color Program: 2 LEDs per turntable mimic the waveform colors of the respective tracks. - Cue point Color Program: 2 LEDs per turntable light up gradually depending on the color of the upcoming Cue Point. 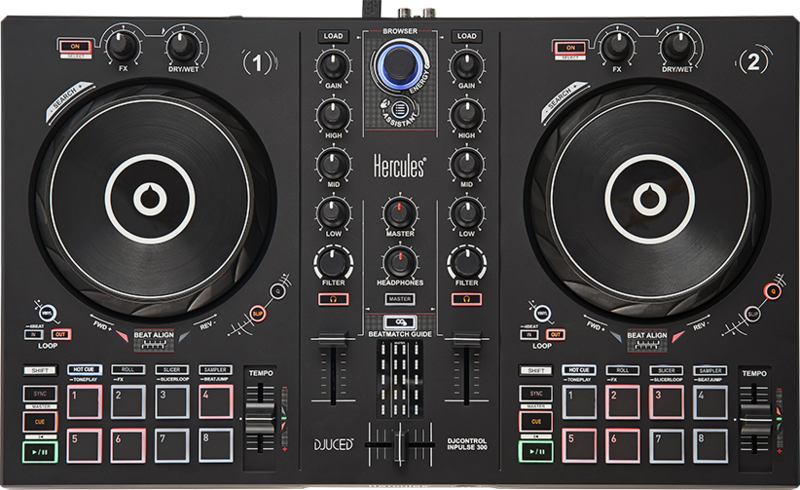 The DJControl Starlight will be available for sale from October 26, 2018 at the recommended retail price of $79.99.